If you are suffering from extreme gum and tooth pain, it is advised you seek our assistance at Arlington Cosmetic & Family Dentistry. You may need a root canal, and we offer exceptional root canal treatments that are designed to eliminate your tooth and gum pain as quickly as possible. It is important to remember that a root canal will relieve your pain. While many people believe the root canal procedure is painful, the pain you are currently feeling because of your infected pulp tissue is actually worse. 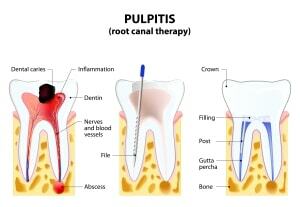 Our root canal treatments relieve your tooth pain, as well as clear the infection from your tooth’s pulp tissue. Don’t let your fear of the dentist ruin your oral health. Our Arlington dentist provides a comfortable, warm atmosphere and prides herself on her gentle, compassionate dental services. Please call us immediately if you are suffering from any type of tooth or gum pain at (703) 636-7878.